Für meine ältere Nachbarin mitbestellt, sie ist sehr zufrieden damit. Yosta Livepor gefällt meiner Nachbarin. Yosta Livepor 256 TC Box MOD is satisfactory in aspects of hand feel and style, and this product is so cheap with flash sales that I can afford. Yosta Livepor 256 TC Box MOD is one of the most cost effective mods on the market. Powered by triple 18650 cells, the box mod supports a maximum wattage output of 256W and VW/Mech/TC (Ni/Ti/SS)/PTC modes. The mod may be the lightest triple 18650 battery mod as well. 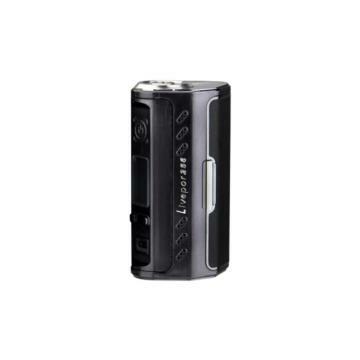 Made of premium engineering plastic, the mod is fire-resistant. With a big fire button, the mod feels comfortable when holding in your hands. Three LED colors and color changeable leather cover make the livepor 256 unique and attractive. 4 colors available.Yosta Livepor 256 Box is a powerful vaping device with quite light weight. Powered by triple 18650 cells, it supports max 256W output power and VW/Mech/TC(Ni/Ti/SS)/PTC modes. With a big fire button, you can get a comfortable hand feel. Three LED colors and color changeable leather cover make the livepor 256 so unique and attractive. Available in 4 colors.